Neptune in Capricorn is in a cardinal earth sign, dissolving, synthesizing, idealizing and artificially reconstructing the significations of its ruler, Saturn. This sign is associated with order, structure, foundations, maturity, melancholy, isolation, degradation, poverty. 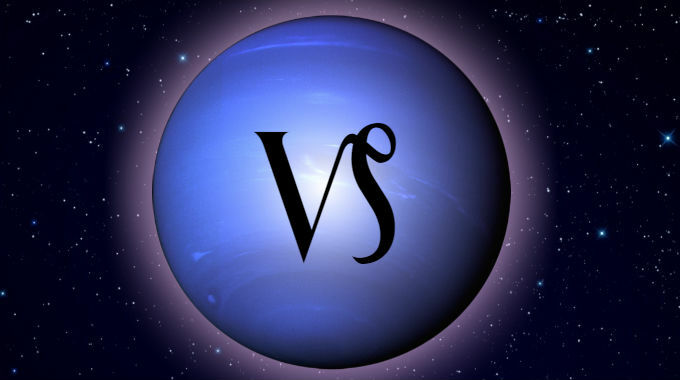 People from this 14-year span of time may stand out as mature and pessimistic as a group, and individuals with aspects from Neptune to more personal planets and points may stand out as their visionary cynics and architects. On the one hand, they confront the limitations of idealism, on the other they can also build foundations in unreal or virtual spheres. People also take on characteristics of the time they come from. Accordingly, the 1984-1999 Neptune in Capricorn period was when gangsta rap arrived on the scene, music which captured uncompromising harsh realities from the devastation of African American ghettos. This period also coincided with the crack epidemic, which disproportionately affected the poor in urban cities. This is also a time when outmoded structures dissolved away, such as the dissolution of the Soviet Union and South African apartheid which occurred in this timeframe. Microsoft Windows arrived at the beginning of this transit, laying a virtual/digital foundation for the dominant PC operating system for the next decade. This is especially true if you were born with Capricorn rising. Whether you experience the better or worse significations of this position depends on whether you were born during the day or at night, and the kind of aspects it makes with the other planets.